Looking to buy a Tumblr account? Great! If you’re contemplating about purchasing a Tumblr account, you need to consider a few factors, mainly because Tumblr is a little different from other social platforms. Tumblr (see wiki) is a cross between a social networking site (like Facebook and Twitter) and a blog. As the most teen-centric social network, it lacks the adult base many businesses need. Young users generally mean that income levels are low among Tumblr users. However, Tumblr is great for brand messages. Why? Because it’s image-centric, its content is very shareable, and it has a very defined quirky user culture. It is also a huge social network, with 200 million daily visitors and 130k new signups a day. Just over the past few years, it amounted over 90 billion blog posts! Tumblr is also known for having extremely well optimized (SEO wise) pages, giving them more organic exposure. If you believe Tumblr may be right for you, then please give us a shot. 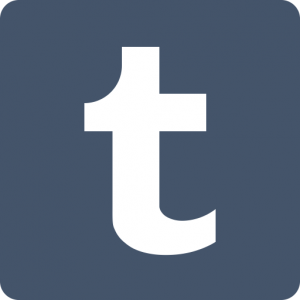 Is Tumblr right for you? Tumblr marketing will require some experience and research, as posting a link or an article just won’t cut it. Tumblr users are a different crowd, and you need to learn their ways before you attempt to promote. But it is not all bad, because a popular Tumblr account and bring in thousands of unique visitors a day. So what can you expect? The massive user base makes good content go viral quite fast. Cheap to buy. Tumblr accounts aren’t worth much. Traffic potential is enormous on popular accounts. Unlike paid ads, Tumblr accounts are a one-time investment. Quirky/weird userbase. The users have their own specific vibe that is difficult to replicate for inexperienced marketers. Even though it is considered a blog, most popular accounts are built around photos/images. How to use Tumblr for marketing? 26 business marketing ideas to use on Tumblr.